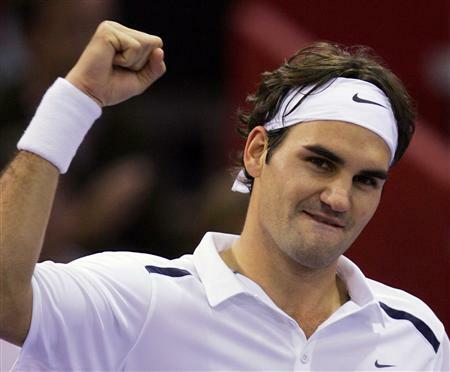 The Swiss must win the tie to return to the World Group – the top tier of the competition – in 2012. Federer played in last weekend’s Swiss win over Portugal, but given the next tie comes just five days after the conclusion of the US Open in New York, there must be at least some doubt about the world number three’s participation. The last time the 16-time Grand Slam champion played a Davis Cup tie in Australia he was famously beaten by Lleyton Hewitt after blowing a two-set lead back in 2003. Hewitt’s win took Australia into the final and despite Federer’s achievements since then, the Swiss are yet to return to the semi-finals. With Hewitt helping Australia past China at the weekend, a rematch of that epic encounter is a possibility. Meanwhile, the 2006 winners Russia, beaten in this year’s first round by Sweden, were handed a home tie with Brazil in Wednesday’s draw in London. Japan will host India, ensuring an Asian side in the World Group next season, while Belgium meet Austria and Romania face the Czech Republic in all-European battles. The other ties see Israel host Canada, South Africa entertain Croatia and Chile take on Italy. All the play-offs will take place on September 16-18, the same weekend as Great Britain face Hungary for a place in Europe-Africa Zone I in 2012. Marco Simoncelli topped the times in the second practice German Grand Prix.